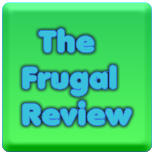 FRUGAL REVIEW: Sweet Pepper Chicken Recipe. Fast, Easy & Inexpensive! Sweet Pepper Chicken Recipe. Fast, Easy & Inexpensive!